Clive Scott is the General Manager of the Sofitel Melbourne on Collins and Area General Manager – Sofitel Australia and Fiji. He has a Diploma in Hotel Management and a Degree in Economics. He is actively involved in Melbourne’s business and arts community. He is on the board of Craft Victoria, is Chairman of the Department of Management and Marketing Advisory Board at the University of Melbourne, and is Chairman of Judges for the 2014 Melbourne Awards. He was an ambassador of the 2014 Melbourne Art Fair. Clive has been honoured with the Gold Tourism Medal from the French Minister of Tourism for his contribution to tourism development between France and Australia. Phil Bretherton is a partner at Donegan's Accountants. Phil completed a Bachelor of Business (Accounting) at RMIT and is also a CPA, a Registered Tax Agent and a Chartered Tax Adviser. Damien Hodgkinson works as Executive Director with the Melbourne International Comedy Festival. His career includes cultural leadership positions in the areas of organisational management and governance, communications and marketing, and private support. Recent appointments include roles as Executive Director Operations with the Australia Business Arts Foundation and General Manager/CEO of Melbourne Fringe. Damien has served as Chair of Polyglot Theatre and is currently a board member of Arts Project Australia and the Georges Mora Foundation. He is also a member of the Academic Advisory Board for the Arts and Entertainment Management Program in the Faculty of Business and Law at Deakin University. Sam Mora is a carpenter specialising in cabinetry and renovation work. Sam has assisted several construction projects in East Timor, Sri Lanka and most recently volunteers with Solve Disability Solutions in Melbourne. He has an appreciation for the arts stemming from a childhood spent with Georges Mora and Caroline Williams Mora, and is a proud member of the Georges Mora Fellowship Board. Odilla O'Boyle's love of the performing arts was instilled early – her mother is a playwright and her father a songwriter. She directed and choreographed amateur theatre productions before becoming an English & Drama teacher and working in the UK, southern Africa and Arnhem Land. She completed her Masters in Arts Management at Melbourne University and managed the Melbourne International Jazz Festival and then took on the role of Development Manager at National Institute of Circus Arts. Odilla recently managed the Key Organisation Funding Program and ran the Events team at Film Victoria and is now an entertainment lawyer at Marshalls+Dent+Wilmoth law firm. She is discovering a love of contemporary art through her role on the board. Virginia Gaffy is a Melbourne based artist with a degree in Art History and Diplomas in both Visual Arts Practice and Art Therapy. Virginia is regularly engaged in her own art-making and occasionally exhibits, with her main media being painting and printmaking. Virginia has also volunteered as an Art Therapist in the area of adolescent mental health and with blind and visually impaired people. She is excited to join the Georges Mora Fellowship Board and to contribute to their ongoing support of contemporary Australian artists. 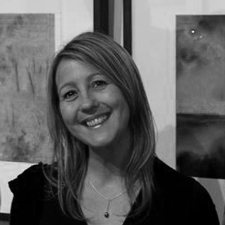 Caroline Williams is a Melbourne based artist and founder of the Georges Mora Fellowship. Major exhibitions of Caroline's work include Caroline Williams: there, 1999, Ian Potter Museum of Art, University of Melbourne, this exhibition toured between 1997-1999 to Robert MacDougall Gallery, Christchurch, NZ; Manawatu Art Gallery, Manawatu, NZ; Hawkes Bay Museum, Whangarei, NZ & Wellington City Gallery, Wellington, NZand Caroline Williams: men exhibited at Ian Potter Museum of Art, University of Melbourne in 1992.